Would you like to know if there are security cameras where you walk, run or bike? That’s what “Community Cam” aims to do here in the Bay Area. The initiative asks people to register online and then pinpoint where they’ve seen security cameras. The result: a web of cameras mapped for people to see. Josh Daniels, who founded VideoSurveillance.com and CommunityCam, said it’s been a success in the first two cities, Portland and Philadelphia, and now in San Francisco. So far, the effort to crowdsource camera location information has resulted in more than 1,000 cameras mapped online in the San Francisco, with another 1,000 in Oakland and surrounding East Bay cities. For Greg Suhr, San Francisco Police Chief, this is just another tool that will help his department get good video evidence and have a better chance at moving cases forward, calling video the “gift that keeps on giving.” He expressed interest in working with Daniels and CommunityCam, as his department works on mapping cameras around notoriously high-risk accident intersections. There was some backlash against the San Francisco Police Department after Amelie Le Moullac, a 24-year-old, was killed bicycling on her way to work August 14. A truck driver slammed into her at Folsom and Sixth when he made a right-hand turn. Initially, investigators ruled it was Le Moullac who was at fault. Micha Liberty, an Oakland-based attorney representing Le Moullac’s family, said a tool like CommunityCam might help in future investigations. 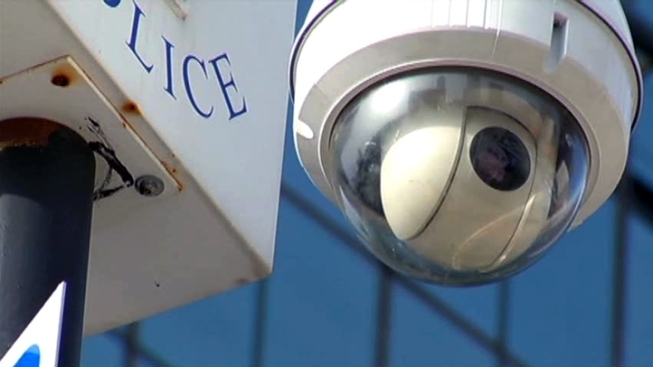 Chief Suhr said his department continues to try and maximize technology and resources that could potentially make or break a case, pointing to how much security camera footage has helped cases that would have otherwise likely stalled. San Francisco is still nowhere near the sort of security camera system that you would find in the UK, where there is an estimated 1.85 million security cameras, some of them monitored in real-time at all times. Chief Suhr reassured there’s zero interest in that in San Francisco.